THIS BMW X5 IS SOLD! 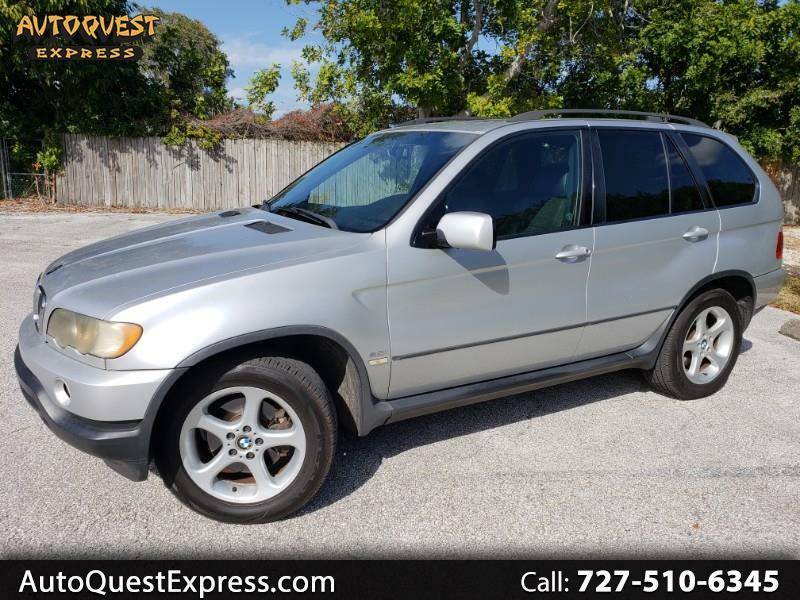 Titanium Silver Metallic 2001 BMW X5 3.0 that runs great! 3.0 automatic, fully loaded with all power and luxury options like keyless remote entry, power heated seats with memory, power moon roof, power windows, locks, heated mirrors, tilt and telescopic steering wheel, cruise, AM FM Cd Stereo, Black leather interior, and ice cold A/C. Factory 5 spoke alloy wheels, and nice Nexen tires. Runs and drives great. Clean title, no rust. Very nice paint and body. Only 3688.00! A+ RATING AT THE BETTER BUSINES BUREAU!